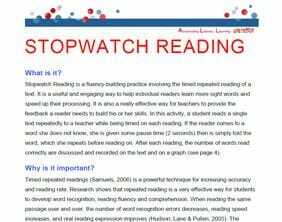 Stopwatch Reading is a fluency Powerful Practice based on ideas related to timed repeated readings. Use it to build automatic word recognition for students who are struggling to recognise words easily and quickly. 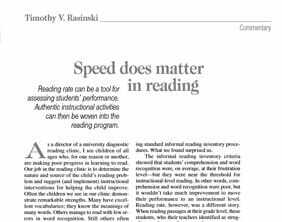 Remember that while rate of reading is important in becoming fluent, we need to balance our focus with work on expressive reading. Ideally, a reader should read at a rate that sounds like natural language and is conducive to thinking as well as be able to read with good phrasing and expression.